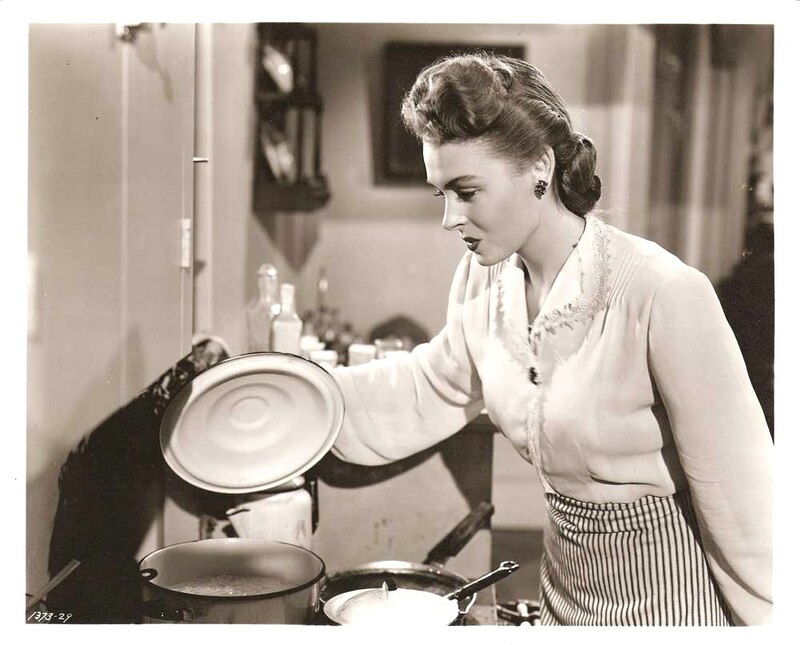 FAITHFUL IN MY FASHION gave Donna Reed a starring role, after decorating 18 up-the-ladder parts over five years. The 1946 comedy is lightweight (as you may assume by not ever having heard of it), and despite Reed’s appeal, and a cozy supporting cast of character pros, the movie failed to cover its production costs. As her next role was in It’s A Wonderful Life, then snagging an Oscar for From Here To Eternity , followed by nine years on TV coming down the line, pretty Donna escaped unscathed. Boot camp for TV duties. Sidney Salkow directed: it’s about employees of a department store trying to play Cupid to make sure salesgirl Reed marries the right guy (Tom Drake). On hand to keep things oiled: Edward Everett Horton, Spring Byington, Sig Ruman, Margaret Hamilton, Harry Davenport and Warner Anderson. If you have super-quick eyes (and time on your hands) you could spot Barbara Billingsley, unbilled as a shop girl. ‘June Cleaver’ , 31 here, would continue to toil for another eleven years, mostly uncredited, until she and ‘husband’ Ward landed on TV. Twelve-year old Dwayne Hickman is in here somewhere as well, a dozen years before he became ‘Dobie Gillis’. Voila! You have the raison d’etre of this movie–training wheels for future pillars of Boomerland. 81 minutes.